The increasingly stringent EPA requirements, exemplified by the new Tier 4 Final engines with their advanced aftertreatment systems, have put rental companies squarely between the rock of increased equipment and operational cost and a hard place of rental rates that aren’t increasing. 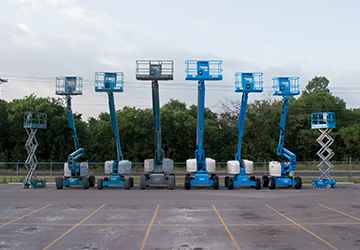 To remain competitive in that environment, rental companies have to find creative ways to cut costs while adding value to their fleets. Fortunately, there are a few readily implemented strategies that can help extend the life of your fleet while improving the return on your biggest business investment. One of the best ways to keep your equipment operating profitably is to optimize your check-in process. A solid preventive maintenance plan can extend the life of your equipment while reducing fleet maintenance costs and increasing time on rent. The most important aspect to keep in mind with this strategy is it must be proactive to be effective. Setting up an effective “green tag” process for preventive maintenance is key. Your plan should include inspecting hydraulic systems, electrical equipment, and structural components, as well as running engine diagnostics, all of which can help uncover machinery problems that have potential to become larger issues. Are the oil and coolant levels OK? Are the air and fuel filters and the water separator in good condition? When was the last scheduled maintenance done and will any maintenance be required during the rental period? Dirt is your engine’s biggest enemy so pay special attention to the condition of the O-rings, gaskets and other seals on the caps and plugs when adding oil or changing filters. Those seals are the first line of defense against dirt and they need to be replaced regularly. While you’re at it, take a minute to wipe the area around a cap or plug before you remove it. Replacing the sump plug seals every time you change the oil is low cost insurance that can prevent potentially catastrophic engine damage. With today’s exhaust aftertreatment technology, there aren’t any “smoke signals” for an experienced mechanic to read and diagnose engine problems. But, a trained ear can still detect a variety of incipient problems if one simply takes the time to listen. Many OEMs and major component manufacturers offer factory-training programs for your service team. The cost of these programs is quickly recovered by the ability to handle more issues in-house, the benefits of having factory-certified techs on staff to service your fleet and the ability to offer factory-certified tech services to customers. And don’t overlook the value of scheduling manufacturer-certified inspections on major components. It’s one of the best ways to ensure any available warranty coverage is applied. A proactive maintenance program can significantly extend the life of your equipment, but nothing lasts forever. When the time comes that simple maintenance is no longer enough, you should seriously consider setting up a refurbishment program. It’s a relatively low-cost way to extend the useful life of your equipment that also gives you an opportunity to compete on price in saturated markets or during recessions. Refurbishment also allows you to incorporate product updates and improvements that enhance the value of an older piece of equipment. And since it typically costs significantly less to implement a refurbishment program than to purchase new equipment, rental rates may not need to be compromised, further increasing your return on investment. What is the typical demand for this equipment? Do you foresee it increasing? How much longer do you estimate the equipment can operate with its current proactive maintenance plan? Can the equipment be easily replaced with new or used models? What’s the projected cost of components for the desired refurbishment program? Do you have the capabilities to handle a refurb program in house or do you have partners that can help manage your program? What is the cost of refurbishment vs. resale value? As a rule of thumb most rental yards consider refurbishment after five to seven years of service. At that point it is usually time to completely tear down the equipment and replace the engine, hydraulic system and other parts before giving it a fresh coat of paint. 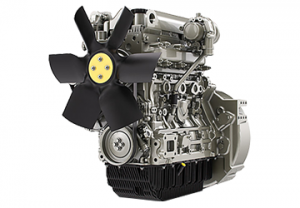 Since the engine is likely to be the most expensive single component, you should give careful consideration to either a remanufactured engine or a new service replacement engine. A remanufactured engine offers high reliability at a cost that’s typically 40 to 60 percent less than a new engine. On the other hand, a new Tier 3 engine that is EPA-rated for repowers gives you the quality and performance of a new engine. No matter how you implement your refurbishment program, choosing a partner/vendor with experience working with refurbished equipment is the best way to maximize the greatest part of your investment. In today’s market, a mix of new and refurbished equipment is a viable solution for a profitable fleet. Regular maintenance, particularly with factory-certified techs, can save money in the long run, and a refurb strategy can improve your book value-to-acquisition strategy. Put them together and you can achieve more competitive pricing in saturated markets or recessions, help sustain rental profit and reduce capital requirements. That’s a win/win/win strategy that’s hard to beat.